Results. That is all. She WILL pay off the mortgage. Actually this coach had done nothing but put out amazing content as an online trainer only, for over a decade. She’d also earnt a very, very low income – which if you have been in this space for a while, you know is all too common. Well thank god she didn’t quit. She was half an inch from a goldmine. She’d already built a crowd, so we capitalised on that. 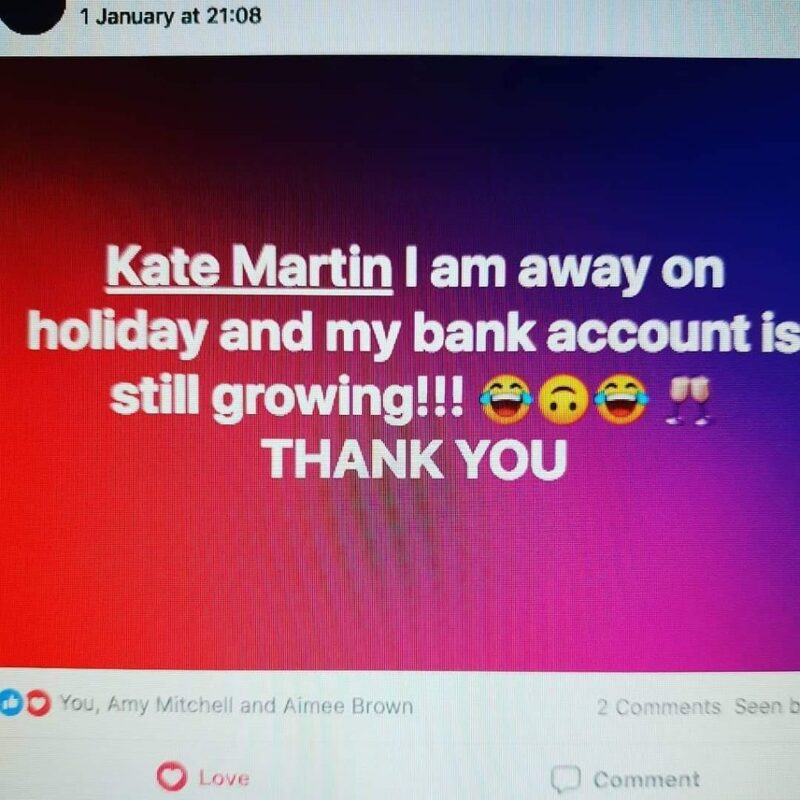 She now, literally has had people buying her stuff while she’s on holidays. (Also – with NO paid ads running by the way). Plus she now values her worth and has some very lucrative offers out there, which has done wonders for ‘taking the pressure off her’ financially. As you know, without those offers, it (financial freedom), literally cannot happen as you feel like you are drowning and cannot get up for air long enough to work “on” your business.. Bigger goals she’ll pay off the families mortgage.